From today, I will write about the marriage procedure and the procedure for obtaining the temporary residence permit (the temporary residence visa) in Croatia, what documents you need to prepare, how much it costs and so on. Firstly, we had a Japanese-style wedding ceremony at Toga-jinja (shinto shrine) located in Aichi prefecture without marrying on paper. The reason why we didn't resister our marriage in Japan before moving to Croatia was because that might make the procedure complex. We have searched how the marriage procedure does in Croatia, but there are little information about it. So, I flew to Croatia with a hope that things will go fine. 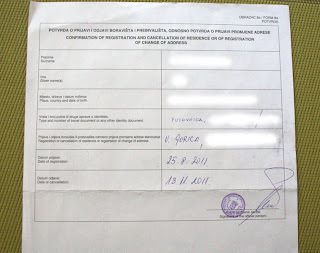 First thing you have to do when you get to Croatia is to register with the local police or the local town tourist centre within 48 hours of arrival (click here for more details). But if you stay at hotels, they will do registration for you. So, the law says that I have to register with the local police within 48 hours, but I arrived in the evening of Saturday. The police station for registration is closed on weekend and public holidays. The next day I arrived was Sunday and the day after, Monday, was the public holiday, so I couldn't follow the law and register myself with the local police. So, I visited the local police the other day and found a paper saying that they had "summer schedule" and the office was open from 7:30 to 14:00 except for Thursday. I was so surprised to read that, because you want to follow the rule of Croatia but the registration office opens in such short time that you can easily miss. The summer schedule may vary depending on regions and locals, so better to check. According to the law, if foreigners failed to register with the local police within 48 hours upon arrival, they might be fined or charged. But, in my case, I was not charged or fined. I guess the police officers understand that there are some limitation in complying with the law. The stay permit was issued in a short time after filing it. This paper allows you to stay in Croatia for 3 months. 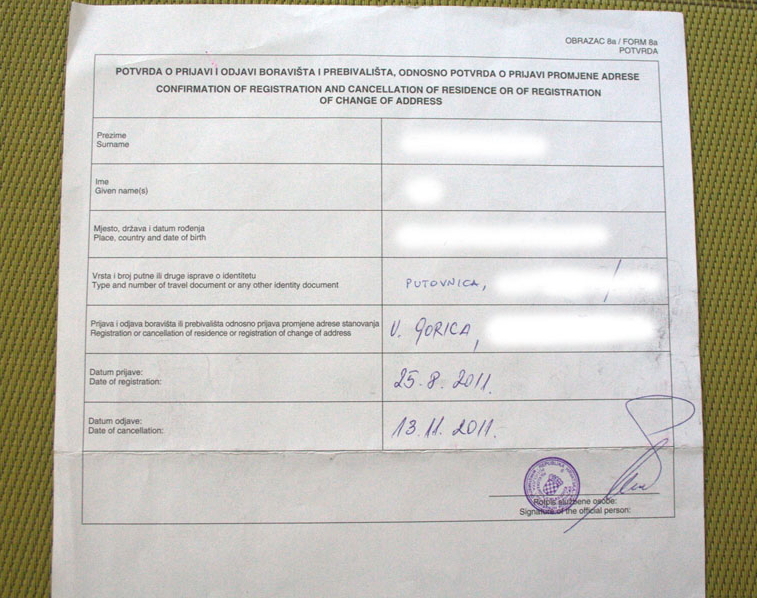 If you intend to get married with a Croatian citizen, you need to get married and file a request for the temporary residence permit before that 3 months expire. Once you file the request for the temporary residence permit (or the temporary stay permit), which is valid and which needs to be renewed every year if you intend to stay longer, this 3 months limitation will be no longer apply to you. So, when you get the registration document from the police, bring it with you along your passport in case.